For those near Atlantic City, this deal seemed too good to be true. In fact, when I wrote about on the private MilesTalk Facebook group on Friday as I was about to hit the road down to AC, it quickly received over 80 comments – probably the most popular post in the last few months. For those that don’t know what a Status Match is, it’s when one hotel or airline or casino is willing to “match” your elite status from one chain so they can show you what it would be like if you instead gave *them* your business. The idea is for you to experience the same level of VIP treatment you are currently getting rather than you enjoying status benefits at one place and having to start from scratch at the other. So, for example, Hilton may match you to their Gold or Diamond level if you you have similar status at Marriott, Hyatt, or SPG. In this case, it’s two casino hotels in Atlantic City trying to win your business from other casino hotels. 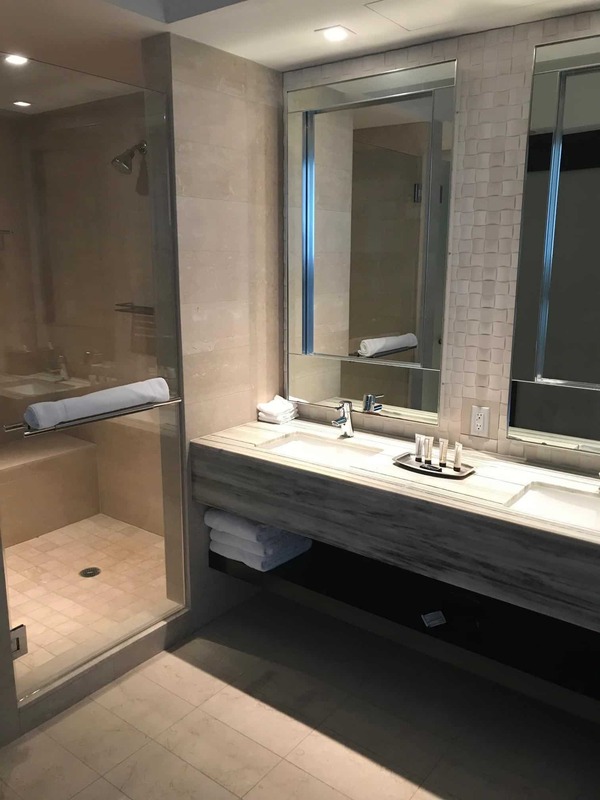 But you may be able to take advantage of this particular deal even if you currently only have hotel status – as long as it’s with Hyatt or Wyndham. 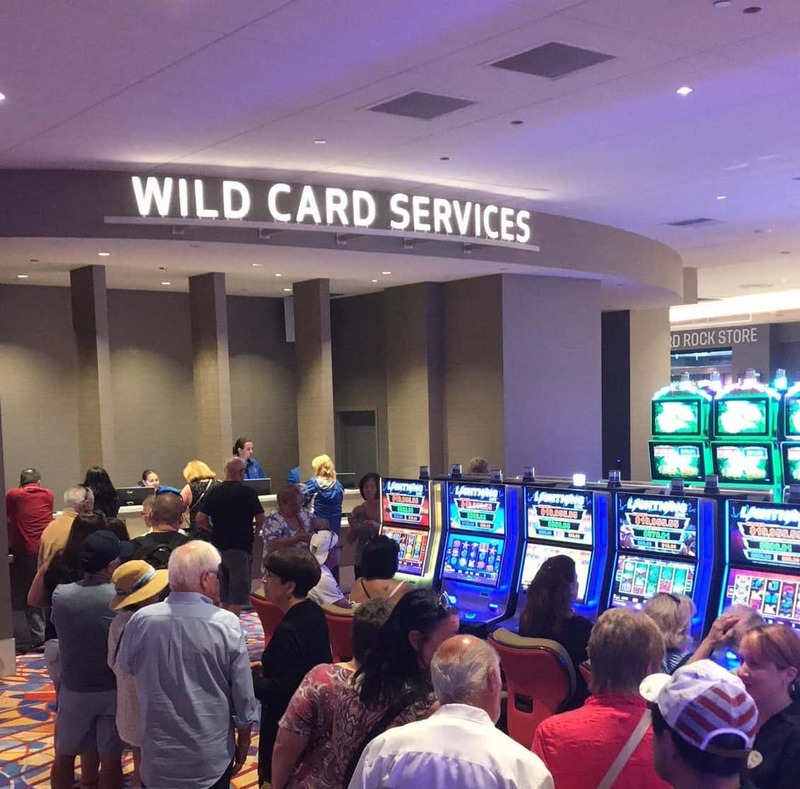 Match from other casinos to Total Rewards Diamond as eligible: Tropicana Platinum or Black, Golden Nugget 24k Chairman or Elite, Resorts Platinum or Red Carpet, Cosmopolitan Las Vegas Gold or Platinum – or most nationwide equivalents. I was able to attain Wyndham Diamond which I matched to Total Rewards Diamond in an unusual way: The Kid’s First Auction. I paid around $260 for the status and did some good at the same time. Win-Win. Drove to Borgata and matched that to MLife Gold. I need to explain two things: First, the order in which all of this HAS to be done and, second, how this parlays into 5 free nights. However you start off, you need to get your Total Rewards Diamond status or MLife status before embarking on the status matched. TR Diamond and/or MLife Gold are key because they match to Hard Rock’s top tier status Rock Royalty. The line will be very long to match. Someone may come down the line and hand you a card after scanning your ID. That’s fine but then be sure to go upstairs to reprint your card with your name on it – or you won’t be able to take that to Ocean! Once matched at Hard Rock AC, that Rock Royalty card also grants you two free nights on-property valid for 90 days, a free buffet for 2 (or lounge access for two) valid for 90 days, $150 free slot play (expires in 5 days), and two free tickets to the Howie Mandel Comedy Club (expires in 90 days). You must match by Sept 3, 2018. 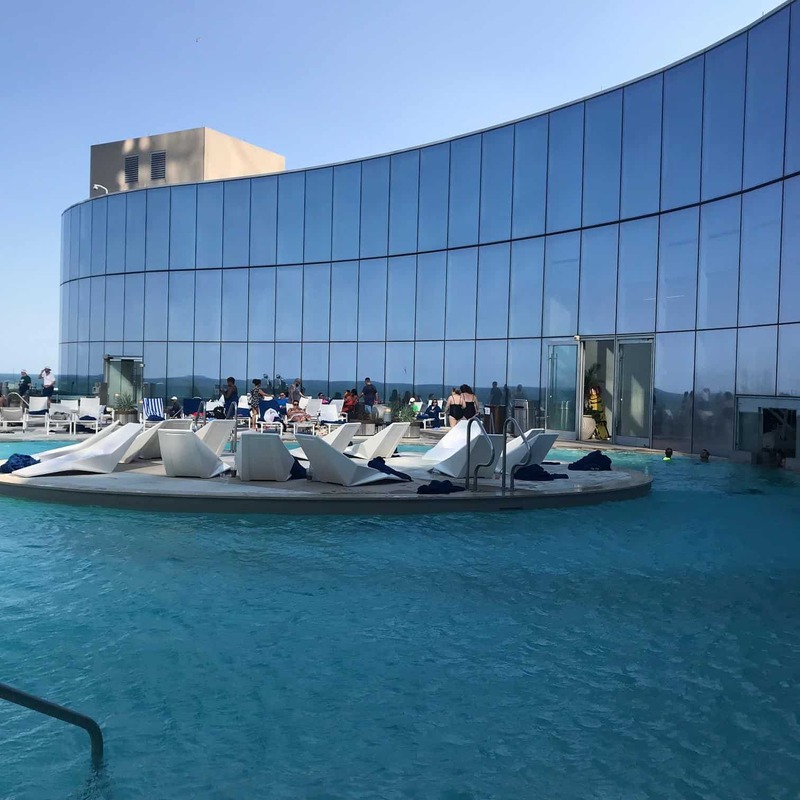 Then you take that card to Ocean because while Ocean will only match Total Rewards Diamond or MLife Gold to their mid-tier Platinum card status, they will match HR Rock Royalty to their top tier Black Card status – which is a *significant* upgrade. I was playing Blackjack with a guy that clearly doesn’t read MilesTalk and matched his MLife Gold to Ocean Platinum – missing out big time. 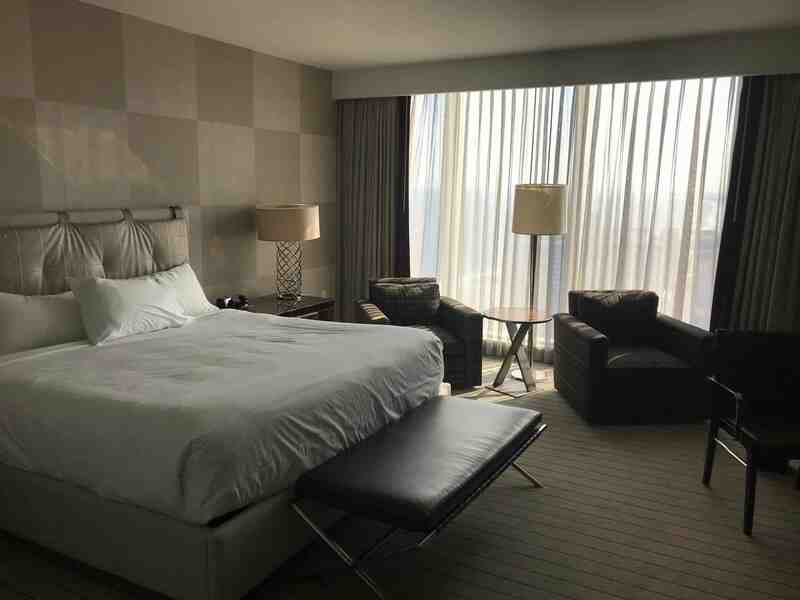 I just wrote a separate post about Ocean AC Black Card Benefits, having stayed there and tested the value (in reality!) of them all. Read that post for ALL the details. 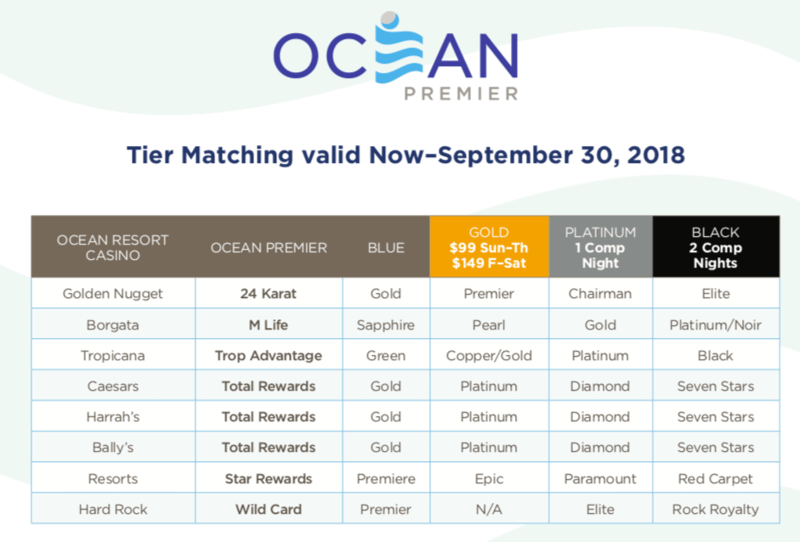 In short, the Ocean match will give you 2 free nights (any day), $100 in free slot play, access to VIP check-in, suite upgrades (if available – and they won’t be all summer except mid-week), and access to the two player’s lounges. The lounges are unlimited use and one has food and drinks while a smaller, less crowded one one has drinks and very light bites. All Ocean benefits much be used by September 30, 2018. Match in the right order! That’s probably why you are here, right? Well, here’s the deal. Hard Rock AC is offering you one free unrestricted (as in any night, but still very much subject to availability) night in ADVANCE of showing up just by calling and saying you re Total Rewards Diamond and want to take advantage of their free night offer for TR Diamond. TR Seven Stars? Two nights in advance! When you arrive to Hard Rock to use that free night, be sure you have your Total Rewards Diamond card in hand. If you don’t, you’ll pay full price. Stop by Caesar’s, Harrah’s or Bally’s first if you don’t have it. Then, once you have matched status at the Rock Royalty booth, you will earn two more unrestricted free nights. That status will be good until May 31, 2019. 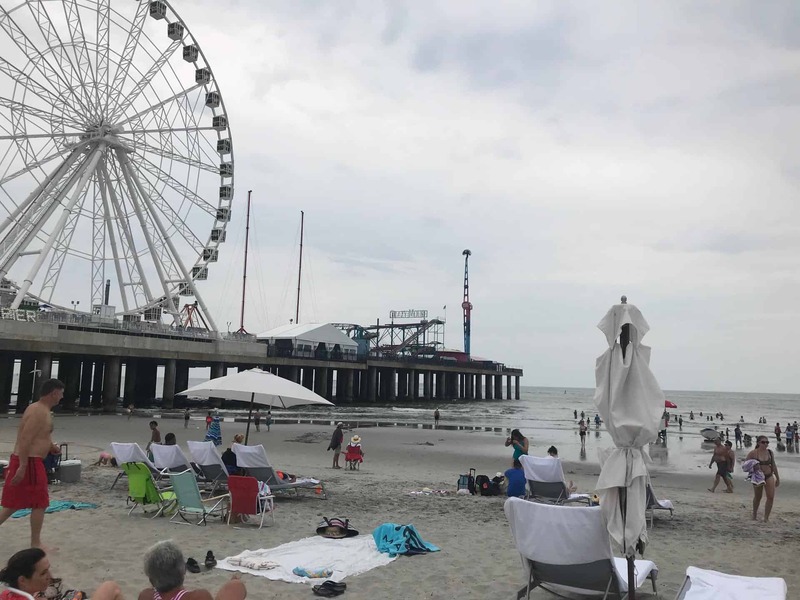 Head over to the Ocean AC Resort, as mentioned above, and match to the Black card. This will also come with two free nights (and other perks I’ll get to in my next post). These nights are also good any day of the week and until September 30th, which is also when the Ocean Black status will expire. 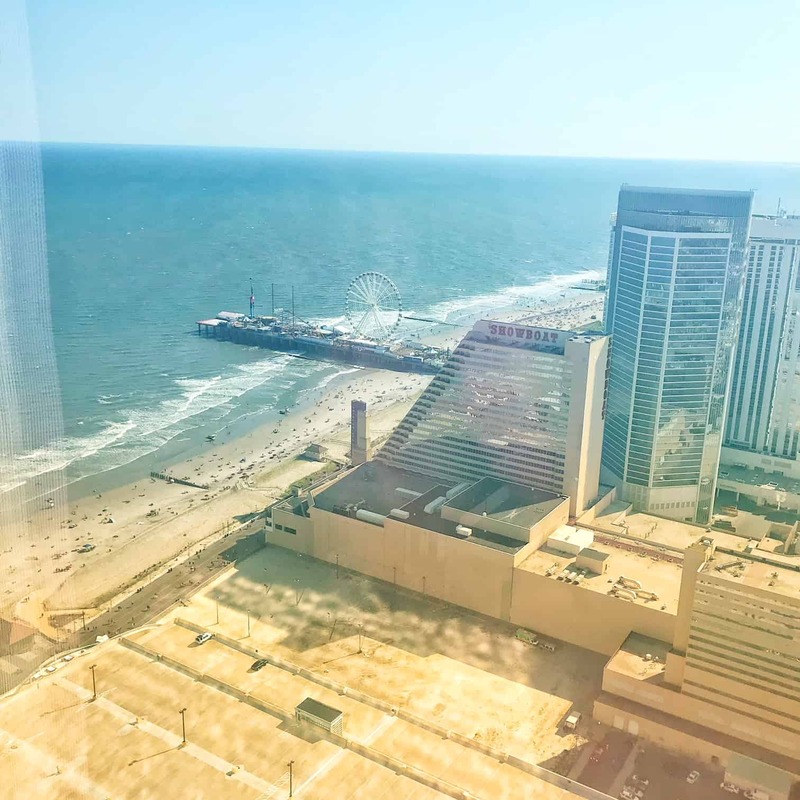 That is how you can have 5 free nights in Atlantic City this summer. As an aside, the Ocean has the pool scene. 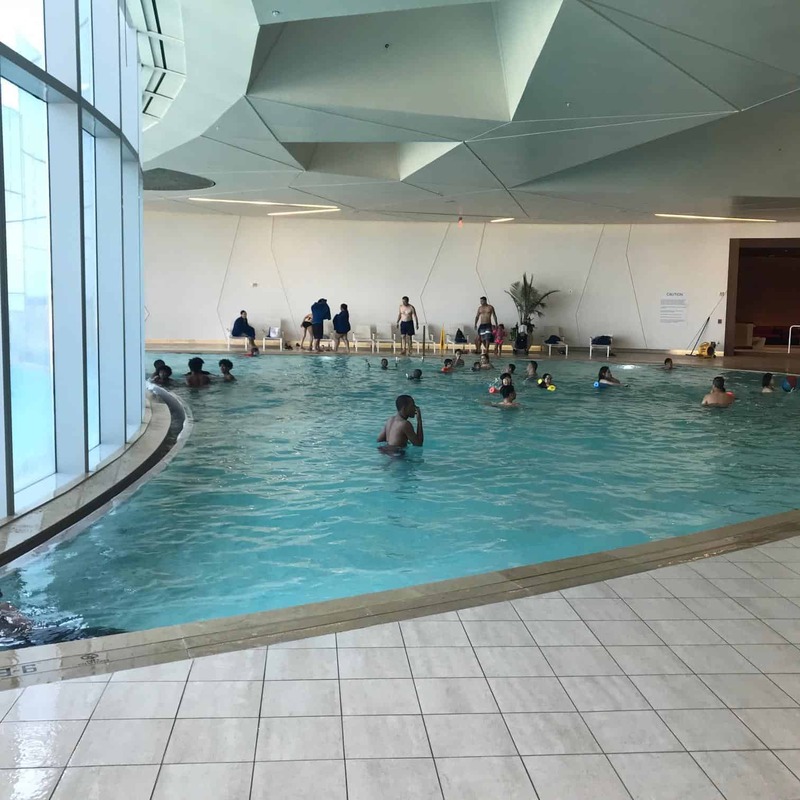 Hard Rock has only an indoor pool and it wasn’t even open this weekend. 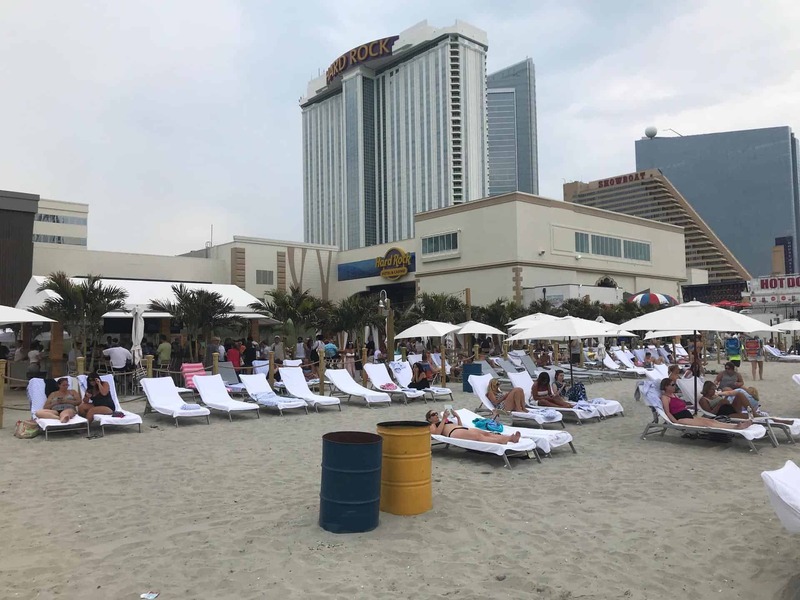 But Hard Rock has the beach scene (pictures above) – including a beach bar and 60 chairs available to hotel guests only, with Rock Royalty members getting priority (though they still recommend getting there 8-9am for a chair. 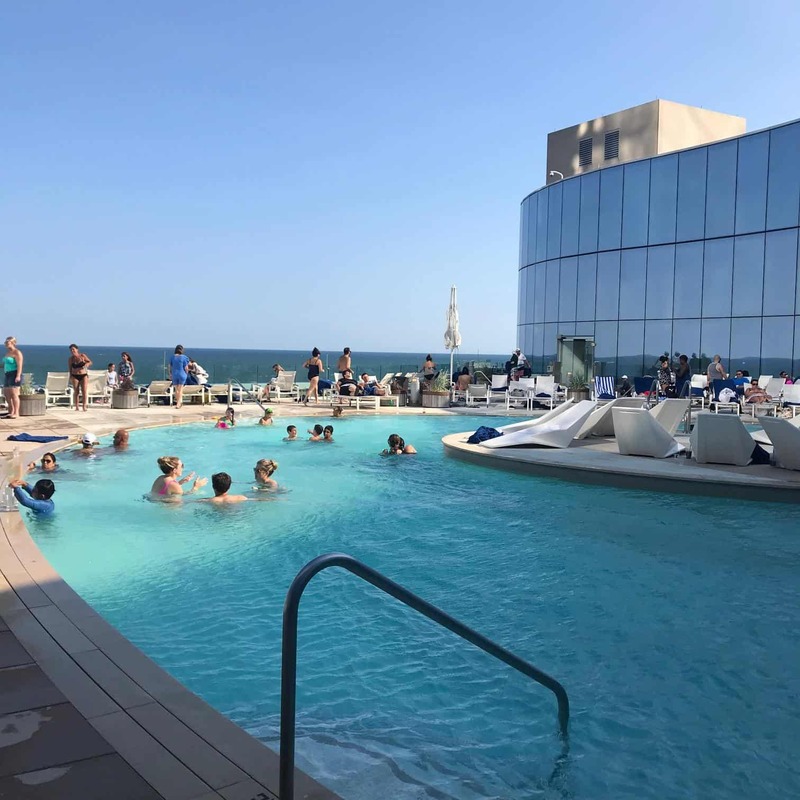 And again, here is my review of Black Card benefits at Ocean AC and my overall impression of that resort as well as how to stay there using points when room rates are high and you’ve used all of your free nights. Questions about any of the fine details of these offers? Let me know here, on Twitter, or in the private MilesTalk Facebook group. Wow, this is pretty awesome. We’v recently moved and the address on our ID doesn’t match our new address. Will that be a problem? Also, I remember reading about spouse matches to double up. We’ll only have 2 nights available for AC but we’ll be passing through Vegas and all the Gulf casinos in 1-2 months. Any way to use up some nights outside AC? Hey Ken. Address doesn’t matter as it’s just what the casino will enter (they will use what is on your ID) but the offer isn’t location specific. Just note that these offers all expire very soon, including the time you have to use them. And no, you can’t use the free nights anywhere but these two casinos. Hi Dave, Could you please update this post with latest offers as some of them expired and 5 free nights seems to be not valid any more. I am counting at least 3 free nights (1 at Borgota, 2 at Hard Rock) so far..